Many of you probably make this dessert or someone has made it for you in the past… It is a layer of Nilla Waffers, a layer of Vanilla pudding, a layer of bananas and a layer of whip cream… You then repeat the process… My great friend Jen had a monkey birthday party for her three year old and made THE CUTEST cupcakes ever. 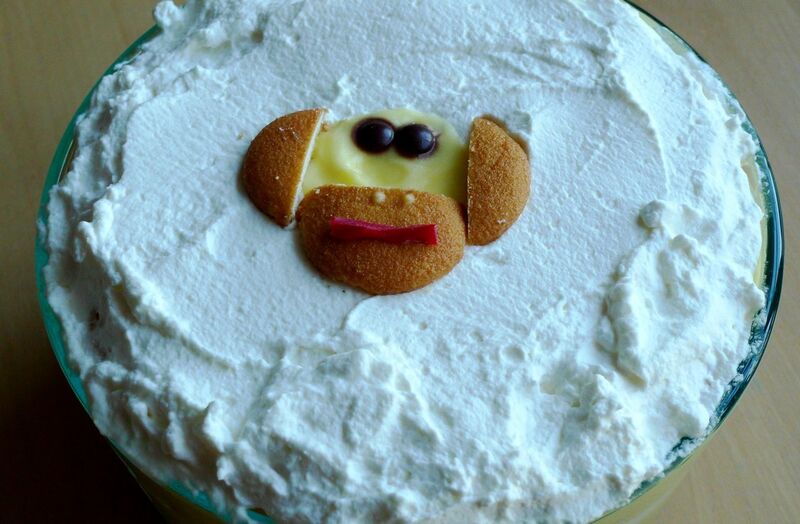 I “borrowed” her idea and altered it to fit my dessert and the supplies I had at home and made a little monkey for the top. Jen’s cupcakes were made with chocolate frosting so the monkey had a brown face. She used black gel frosting for the eyes and nose and red gel frosting for the mouth. 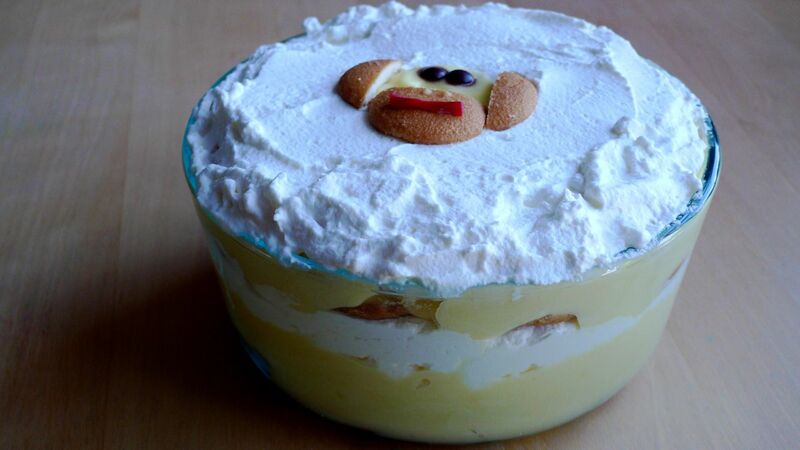 My monkey obviously has a yellow pudding face, mini M&M eyes, pudding nose and a licorice mouth… Super easy and the boys just loved it!